Thursday was our final class of this session. It was sad for several reasons. One is the fact we could not go outside to throw boomerangs. There were some liability issues at work that caused us to cancel that part of the activity. We still tried to make the best of it. The students had to take a test, to see what they remembered from previous weeks. The class exchanged tests and we graded them as a group so everyone knew the correct answers. We than had the students fill out a survey about the class, so we can see how to improve it in the future. We had planned a food tasting so Hector headed off to make some toast. 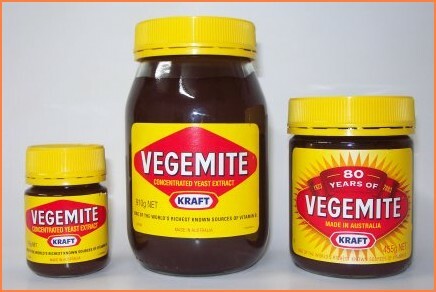 I explained to the class what Vegemite is to prepare them for the tasting. 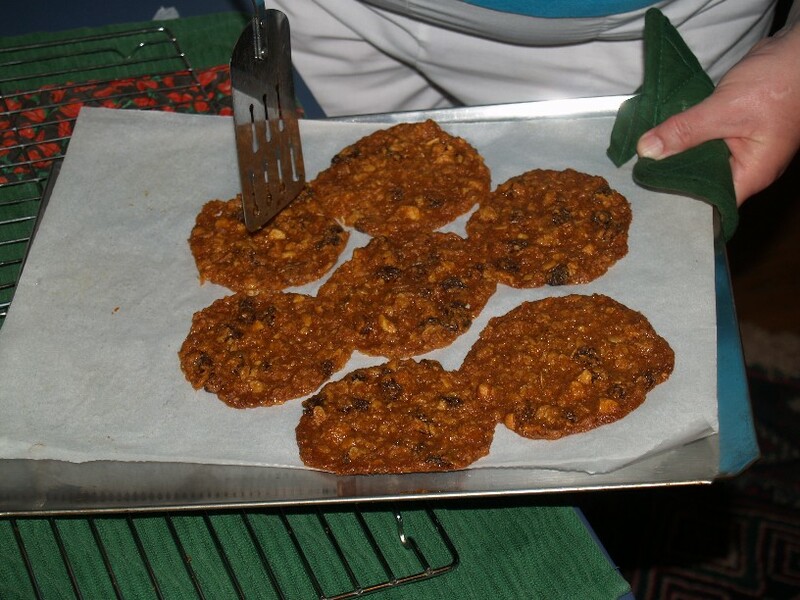 The other item we tasted was ANZAC biscuits, which I baked the night before. Hector returned with the toast and the students applied some Vegemite very gingerly. They were all good sports and ate it. They wonder if Australians really did eat it so I told them countless of Australian children had it many mornings for breakfast. After that, one student asked if Australian children are forced to eat it. What a great class we had! The students then were wary of the ANZAC biscuits but after tasting them, dove right in. We looked at a map of the world which was made from the perspective of the Southern Hemisphere (or upside down to us). That was loads of fun. we finished by watching music videos of “G’day, g’day” (lots of Aussie slang to learn) and a version of “Land Down Under” by an Aboriginal rock band, complete with didgeridoo. After taking a class photo, the students collected their boomerangs from last week and headed off to the bus and back to school. 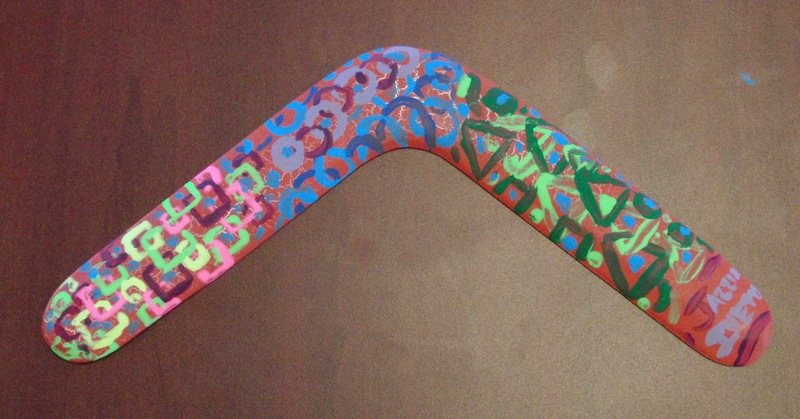 This week we got to paint boomerangs. Before we did that, we watched a video on how the Aboriginies make boomerangs. The video was filmed in 1988 and can be found on youtube. The title is Making Boomerangs the Mudburra-Jingili Way. It is quite good, in my opinion. 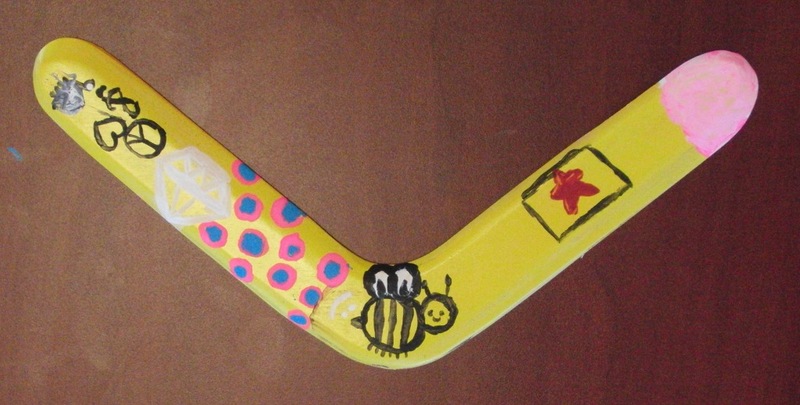 Then the students started painting their boomerangs. Because our classes were cut short a week, they did not have the chance to actually shape their own boomerangs. I shaped them, primerd them and put a base color paint on the. The students selected the color they liked and proceeded to decorate them in whatever manner they wanted. They proved to be up to the task. Here are some examples. They spent a lot of time painting so we ended class with another Aussie song, ‘Old Man Emu’ by John Williamson. (also on youtube) I am pretty sure the students now know that an emu can’t fly, but it can run the pants off a kangaroo.